Volvo Penta has onboard Fuel polishing system with dual Racor fuel filters. First impressions as you step onboard is the nice flush deck design with all running rigging led aft to the large cockpit with seating around nice sized teak bi folding table ideal for out door entertaining. As you step below the wide beam main salon opens out to an equally comparable dining space around the custom built salon table. New royal blue upholstery to the seat cushions complement the maple wood finished joinery through out. Plenty of natural light and ventilation comes from the opening deck hatches and port lights to allow the sea breeze to enter down below. The boat has one original owner from new, who has made some nice custom upgrades to include full complement of navigation & electronics, the custom built navigation arch and davits houses both a wind generator & two solar panels to charge the house battery banks, ideal for ample time on the hook or cruising blue water passages which Bavaria yachts are renowned. 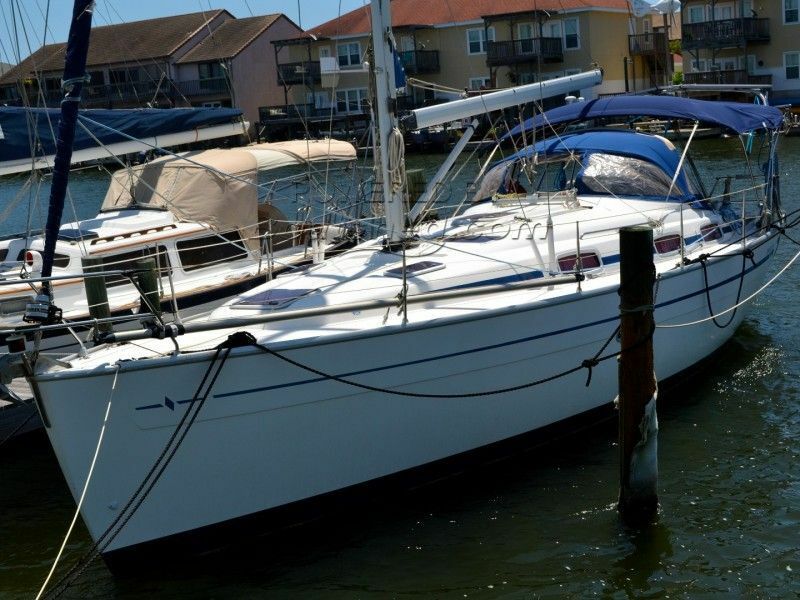 This Bavaria 37 Cruiser has been personally photographed and viewed by Steve Black of Boatshed Texas. Click here for contact details. Please note this comments section is public. Please do not post your personal details here. To enquire about purchasing this boat, please contact the broker directly at steve@boatshedtexas.com. Please read our commenting guidelines before posting.